The giant panda has the capacity to have a relatively long lifespan in captivity, up to almost 30 years. Since reproduction generally ends after 20 years, we consider animals beyond this age to be 'geriatric'. Conditions that have been recognised in the aged panda include osteoarthritis, renal insufficiency, epistaxis, hypertension and dental disease. However, information available for each of these problems is often limited to studying a single individual. This is because few geriatric giant pandas have undergone routine examinations that have included clinical pathology, radiology and ultrasonography. Until recently, few giant pandas have lived beyond 20 years in captivity but with rapidly improving husbandry and medical management, numbers of geriatric pandas requiring care will skyrocket, so this age group needs more attention now. Most health problems can be managed in the aged giant panda but never completely resolved during the animal's last years. Thus, it is important to balance concerns for 'quality of life' with the disturbances that normally result from diagnostics and treatments. Here again, advances in operant conditioning (see 'Restraint with no sedation', p. 354) offer many diagnostic and treatment opportunities as part of the animal's daily routine while avoiding chemical restraint. Osteoarthritis is a frequent problem in old animals, regardless of species. Diagnosis is often based initially on clinical lameness specific to the affected limb or joint. However, the condition can also be manifested by non-specific lethargy and reduced appetite, especially since considerable strength and mobility is required to eat bamboo. Giant pandas with vertebral spondylosis spend less time in a sitting position (without back support) to eat bamboo and rather often use one limb (rather than all four) to manipulate bamboo. Radiographic indicators of osteoarthritis in aged giant pandas have been documented and include bridging spondylosis in the thor-acolumbar vertebrae (Fig. 15.4). One geriatric giant panda (SB 121) developed a lameness shifting from leg to leg and stiffness associated with spondylosis and severe humeroulnar ostearthritis (Fig. 15.5). Another geriatric female (SB 230) had obvious radiographic lesions of osteoarthritis in the carpal joints, although clinical signs were mild. One challenge in the giant panda is that many medical conditions are associated with nonspecific signs of variable activity and partial anorexia. As a result, it may be impossible to distinguish suspected arthritis-related pain and stiffness from other clinical conditions without a thorough examination, including radiography. One alternative is to evaluate a trial course of therapy with anti-inflammatory agents when signs of stiffness or lameness are apparent. The goal here is to relieve pain and improve overall quality of life. Figure 15.4. Lateral radiograph of the thoracolumbar spine in a geriatric giant panda (SB 12; at 28 years old) showing bridging spondylosis and disc space. Figure 15.5. Lateral radiograph of the left elbow joint in a giant panda (SB 12; at 26 years old) showing degenerative osteoarthritis. therapy in this species, such work has been restricted to only a single individual. In this case, carprofen was used successfully for 2.5 years in a 26-year-old male giant panda (SB 121) at an initial dosage of 2.2 mg kg-1orally once per day or 250 total mg per day mixed in sweet potato. After one month, the dosage was lowered to 1.5 mg kg-1 given once per day for the next two years. Injectable carprofen (1 mg kg-1 subcuta-neously or i.m.) was also used intermittently in this individual. A dosage of less than 1.5 mg kg-1 appeared to be ineffective. Mobility and appetite increased in this giant panda during therapy, with even resumption of play behaviour. During the second year of NSAID treatment, SB 121 developed chronic renal insufficiency, but there was evidence that this animal had pre-existing renal disease. When carprofen was discontinued there was rapid deterioration of the panda's overall condition. 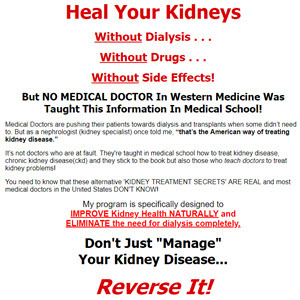 Upon carprofen treatment resumption, the animal's quality of life was restored, and parallel efforts were initiated and conducted for the next six months to address the renal insufficiency problem. During the last six months of this panda's life, the carprofen dosage was increased gradually to 3 mg kg-1 per day, divided into three oral doses to control arthritic pain (as measured by appetite maintenance). During the 2.5 years of NSAID treatment, the animal's vertebral spondylosis worsened steadily, and yet carprofen effectively maintained an adequate quality of life. Monitoring weight and activity levels is also important in the geriatric giant panda because excessive body mass, sedentary behaviour and overexertion will contribute to degenerative joint diseases. Thus, it is essential to maintain proper body condition by ensuring adequate diet, sufficient exercise space and daily enrichment activities. Clinical signs of renal insufficiency in the giant panda include lethargy, inappetance, polyuria and polydypsia. Clinical pathology findings generally are associated with azotaemia, anaemia and hyperphosphat-aemia. Ultrasonography is useful, although obtaining images of the kidney can be difficult, especially if anaesthesia time is limited. Renal insufficiency has been definitively documented in three geriatric giant pandas (cases summarised as follows). A 20-year-old female (SB 112) developed acute renal failure associated with pyelonephritis. A striking feature of this individual's illness was severe anaemia (haematocrit, 10%) and azotaemia (blood urea nitrogen, BUN, 145 mg dP1; creatinine 95 mg dP1). This animal responded to aggressive therapy, including a blood transfusion and antibiotic therapy (Bush et al., 1984). A 24-year-old female (SB 230) developed mild renal insufficiency associated with one episode of epistaxis and intermittent anorexia. Initially, she was found to be hypertensive, but clinical pathology results were within normal limits. Subsequently, polydypsia, polyuria, mild nonregenerative anaemia (haematocrit, 31%) and persistent hyposthenuria (specific gravity, SG, 1.002-1.008) developed (D. Spielman, pers. comm.). A 29-year-old male (SB 121) developed moderate, compensated renal insufficiency that progressed over six months to renal failure associated with degenerative cystic renal disease. This giant panda had a long history of infrequent epistaxis (nosebleed) episodes that became more severe as hyposthenuria (SG 1.005-1.010), moderate azo-taemia (BUN 42 mg dP1; creatinine 6.8 mg dP1) and moderate nonregenerative anaemia (haematocrit, 25%) developed. This individual was managed successfully with intermittent fluid therapy and human recombinant erythropoietin despite worsening azotaemia (BUN, 34101 mg dP1; creatinine, 6.3-22.8 mg dP1). After six months of therapy, the animal was euthanised due to worsening epistaxis (nosebleed) and retinal haemorrhages associated with secondary renal hypertension. In retrospect (and based upon the clinical course of the second case described above), the mild anaemia (haematocrit, 37%), intermittent mild nosebleeds and occasional anorexia noted in this male two years earlier may have been early indicators of renal insufficiency. 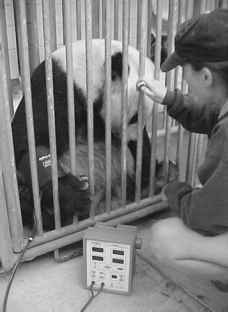 Treatment of renal failure in the giant panda using fluid therapy is limited by the requirement for anaesthesia. Nonetheless, i.v. and subcutaneous fluid therapy has been effective in stabilising ill giant pandas that were episodically anaesthetised. However, it is possible to use behavioural training to condition the giant panda to accept fluid therapy while fully awake. Blood transfusions or treatment with human recombinant ery-thropoietin have been effective for treating anaemia in this species. In the case of the geriatric arthritic giant panda on carprofen (SB 121; see 'Osteoarthritis', p. 368), erythropoietin (Epogen®, Amgen Pharmaceuticals, Thousand Oaks, CA) was effective in addressing chronic renal insufficiency and was associated with improved haematocrit, appetite and attitude. In that case, the risk of the giant panda developing anti--erythropoietin antibodies and, therefore, paradoxically accelerating the anaemia was outweighed by anticipated potential benefits. The efficacy of anaemia treatments is also enhanced in this species by the naturally high water and relatively low protein content of the bamboo diet. Offering high-water-content bamboo shoots or young bamboo could probably further facilitate treatment. Epistaxis, characterised by intermittent and sometimes severe nosebleeds, is the most dramatic clinical sign associated with hypertension in the giant panda. Spattered blood is often found in the animal's den overnight, or dried blood may be present on the nose and fur. Unless the nosebleed is severe, most pandas eat and appear otherwise normal. Clinical signs of hypertension, including epistaxis, lethargy and inappetance, have been noted in several older giant pandas. In one geriatric male (SB 381), epistaxis occurred on multiple occasions. Hypertension was noted using direct and indirect methods in this animal during anaesthesia as well as when it was fully conscious. Treatment in this case was apparently successful with propranolol starting at 20 mg given orally twice daily and then increasing the dose slowly over six weeks to 60 mg orally twice daily. Treatment continued for seven weeks. No further episodes were observed after treatment ended. Hypertension was also noted in a 24-year-old female (SB 230) using daily, indirect blood pressure measurements via operant conditioning (Mauroo et al., 2003). Average values for this female were 241/35 mmHg with a mean arterial pressure of 176. The only clinical sign reported perhaps related to systemic hypertension was an episode of epistaxis. A daily dose of 7.5 mg of amlodipine (Norvasc®; Pfizer, West Ryde, NSW, Australia; equivalent to 0.093 mg kg-1 BW) was administered orally and was found to reduce systolic blood pressure, diastolic blood pressure and mean arterial pressure, with no adverse effects. In one male (SB 121), episodes of epistaxis occurred throughout his life and increased in severity at the onset of severe and chronic renal failure at 26 years of age. In one 24-year-old female (SB 112), one occasion of epistaxis was noted prior to a diagnosis of chronic renal failure. Figure 15.6. A giant panda trained to accept an automatic indirect blood pressure measurement. episodes of hypertension in the relaxed, fully conscious condition as well as under ketamine anaesthesia. long-term antibacterial therapy in minimising secondary bacterial gingivitis, the animal was placed on long-term antibacterial therapy with the result being generally improved quality of life. Routine examinations revealed that the focal gingivitis was adequately managed with a combination of a dietary 'bread' made up from dry, ground bamboo leaves, dry biscuits and long-term antibacterial chemotherapy.